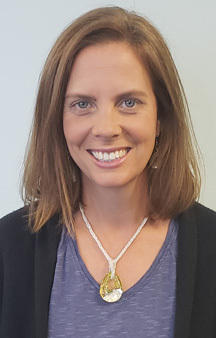 Michele received her Bachelors in Health Science from Simmons College, Boston MA and continued on at Simmons College, receiving her Master of Science Physical Therapy degree in 2000. She earned national recognition as a Board Certified Clinical Specialist in Orthopedic Physical Therapy and as a Certified Hand Therapist in 2006. Michele has served as the Treasurer for the Long Beach/South Bay District of the California Physical Therapy Association and as a member of the Specialization Academy of Content Experts (SACE) as an item writer for the Orthopedic Speciality Exam. She is also an active member of the American Physical Therapy Association (APTA), with special interest in hand therapy, orthopedics and sports physical therapy, as well as the American Academy of Orthopedic Manual Physical Therapists. She specializes in functional applied biomechanics and advanced manual therapy evaluation and treatment techniques of orthopedic, sports and work related injuries. Her areas of expertise lie in hand therapy, post-surgical care, foot and ankle rehab, TMJ and headache management, and general orthopedics of all areas of the body. Kai obtained her Masters degree in physical therapy from California State University, Northridge, and Doctorate degree from Western University of Health Sciences. Since graduation, she has taken numerous continuing education courses in orthopedic physical therapy. She is a certified Graston provider and completed the Pilates teacher training by the Pilates Alliance Method. She completed a year-long manual therapy course to perfect her hands-on techniques. She is a board certified clinical specialist in orthopedic physical therapy since 2018. Kai is a compassionate clinician and is constantly on the path of self-improvement. Kai was born and raised in Japan and came to California to pursue her passion for surfing and physical therapy. Throughout childhood, she watched her father, who is a physical therapist, help heal patients, and thus yearned to become a therapist herself. In her free time, she enjoys surfing with her husband and playing with her cat. Dr. Mayur Mistry graduated from the University of Calfornia, Irvine in 2010 with his B.S. in Biological Sciences. During his time at UCI he worked in the athletics department as a Sports Medicine Intern/Stuident Athletic Trainer. His strong interest in sports, orthopedics, and passion to work in the health care field lead him to MGH Institute of Health Professions in Boston, MA where he received his Doctor of Physical Therapy in January 2014. Since then, Mayur has been working in the field of Orthopedicâ€™s and plans on becoming a Board Certified Orthopedic Clinical Specialist. His area of exercise lie in helping athletes return to sport, post-surgical care, general orthopedics, and manual therapy. In his free time, Mayur enjoys hiking, sports, cooking, traveling, and spending time with family and friends. Prior to joining the team at Made to Move PT, Megan worked at Cedars-Sinai outpatient rehab department. She graduated with a M.A. degree in Occupational Therapy from USC, May 2008. She attended ungrad at Arizona State University and graduated with a B.S. degree in Kinesiology in August 2003. Megan is passionate about the field of hand therapy. She strives to continually further her post graduate education in this field. Shelby graduated from San Diego State University with her Bachelors in Science with an emphasis in pre-physical therapy in 2014. She then went on to get her Doctorate in Physical Therapy from the University of Southern California completing the program in May 2017. While at school she had the opportunity to have clinical experiences in both pediatric and orthopedic settings and discovered she had a passion for both. She enjoys creating individualized programs that will help each person she works with achieve their own personal goals. She also has a passion for working with children and their families on establishing a treatment program that works with their individual lifestyles. In her free time, Shelby enjoys hiking, camping, photography and traveling. Sylvia was raised in LaDera Heights and lives in Los Angeles With her two wonderful Teenagers. She has been an Aide since 1999 with a short period time as an office manager. She has worked in various Physical Therapy Clinics and Hospitals and now I have permanently stopped her work journey pursuit to finding a respectful, caring, positive, and productive clinic which she found in 2010 at a wonderful place she calls her second home at Made to Move Physical Therapy. Mayra obtained her bachelor's degree in Physical Education: Pre-Physical Therapy from California Sate University Dominguez Hills. She has worked as a physical therapy aide since 2012. Mayra has a solid record of working in the field in which she is pursuing her doctorate degree. She has gained great insight on health promotion and injury prevention. Mayra has also attained a certification in Personal Training through the National Council on Strength and Fitness. Beyond her skill sets, she is highly compassionate with her patient care skills and is dedicated to he field. Mayra was born and raised in Los Angeles where she was raised in a Spanish speaking household and is a fluent speaker. She enjoys meeting new people and trying new restaurants as well as soaking up the sun's rays with friends and family. Natalie graduated from California State University of Northridge and obtained a bachelor's degree in Arts. She enjoys taking photos while capturing and creating memories. Throughout her undergraduate career she volunteered alongside athletic trainers at East Los Angeles College where she discovered her passion in helping athletes strengthen and recover from injuries. Natalie is currently working on obtaining her Doctorate degree in Physical Therapy in hopes of becoming an orthopedic physical therapist in the near future. When Natalie is not hard at work she enjoys spending time with her family, reading quietly on a chair, working out, and recently found a passion in cooking new recipes for her loved ones. A Los Angeles native, Nicole grew up as an all around athlete, world traveler, and food enthusiast. She enjoys road trips and appreciates immersing herself in new cultures. Nicole completed her BS in Exercise and Movement Sciences with an emphasis on Neuromuscular Science at San Francisco State University. Nicole intends to become a Physical Therapist and is currently studying Nutrition to complete her understanding of health. Without a proper diet, Nicole believes it would be more difficult to maintain one's health and wellness with fitness alone. The best part of her job is working with patients, exchanging stories and getting better all the while having a great time. Dalma completed her Bachelors of Science in Kinesiology Exercise Science at California State University, Long Beach. Her passion for the field grew as she began taking courses related to geriatrics, anatomy, and bio-mechanics. She plans to pursue her doctorates degree and continue to enforce the importance of exercise. Her goal is to one day work with older adults and help facilitate their daily living activities. On her days off, Dalma enjoys playing tennis, going to Disneyland, and spending time with friends and family. Daniel graduated with a Bachelors of science in Kinesiology from California State University, Fullerton. Throughout his undergraduate career, Daniel obtained a staff position as a Kinesiology department peer mentor. He was also a performance trainer for high school and collegiate athletes. His love for exercise, family, community, wellness and healthcare grew out of lifelong team sport participation. Daniel's future aspirations include becoming a Doctor of Physical Therapy in order to educate others on preventive health. He also aspires to focus on sports performance and foot/ankle related injuries. In his free time, Daniel enjoys the beach, playing basketball, resistance training, and Fortnite. Chudi was born in raised in Los Angeles California. He graduated from Arizona State University and received a BS degree in Exercise Science. He grew up competing in various athletics including soccer, track, golf, and swimming. Prior to joining the team at Made to Move PT he completed Performance Specialist internships with UCLA Football and EXOS. Chudi plans on attending PT school with the ultimate goal of becoming a Performance Physical Therapist with a professional sports team. © Copyright 2015. Made To Move. All Rights Reserved.